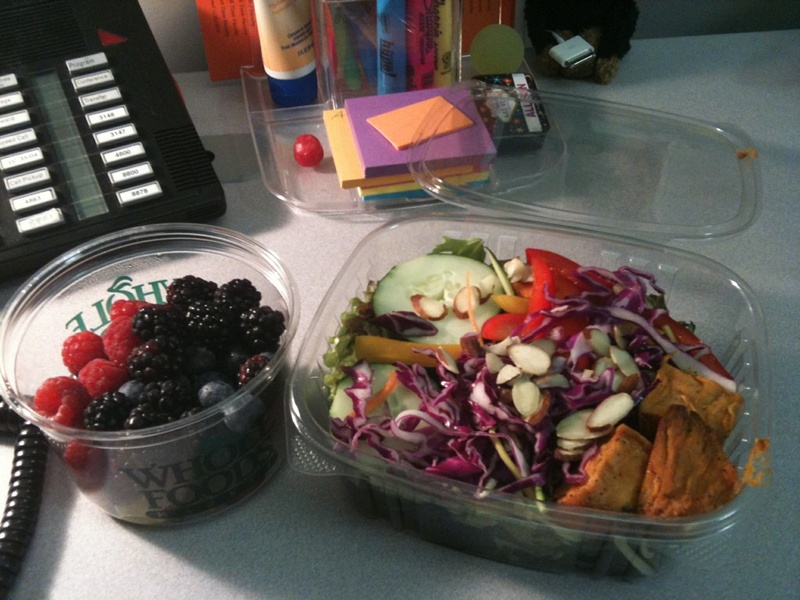 Beautiful Day Equals Colorful Lunch…and a Red Sox Game! Yesterday was a beautiful day in Boston! So beautiful that I decided to take a walk for my lunch break– I went on a two mile loop that just happened to take me by a Whole Foods…so I splurged on some fruit and a salad. Unfortunately, the two mile walk eats up most of my lunch…so I had to eat at my desk instead of outside in the sun. A rainbow salad featuring cabbage, cucumbers, carrots, squash, cherry tomatoes, red and yellow bell peppers, roasted sweet potato and sliced almonds, and some mixed berries and grapes for dessert. The hot weather had me wanting lots of fresh fruits and veggies. 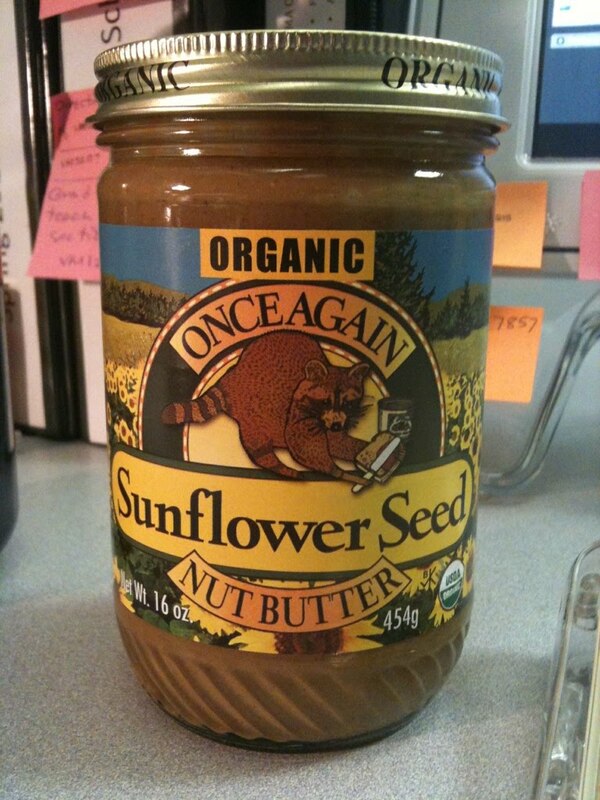 On my trip to Whole Foods, I also bought some Organic Sunflower Seed Butter that I’ve been wanting to try. For my afternoon snack, I had a spoonful of the nut butter and the rest of my mixed berries. It was super sunflower seedy tasting, which was a nice change of pace from my usual nut butters. 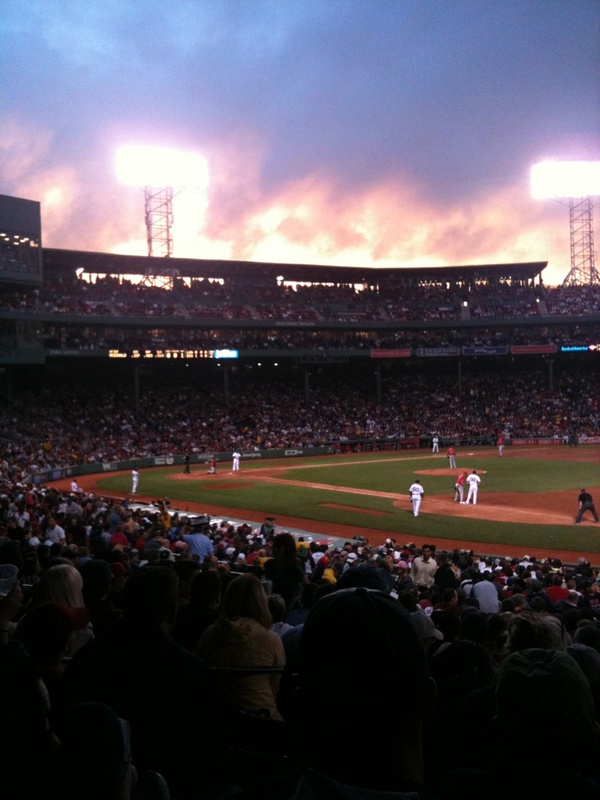 The weather held out for the Sox game…M and I decided to eat dinner at Fenway. Turkey Tips and a Premio Italian Sausage…yum! 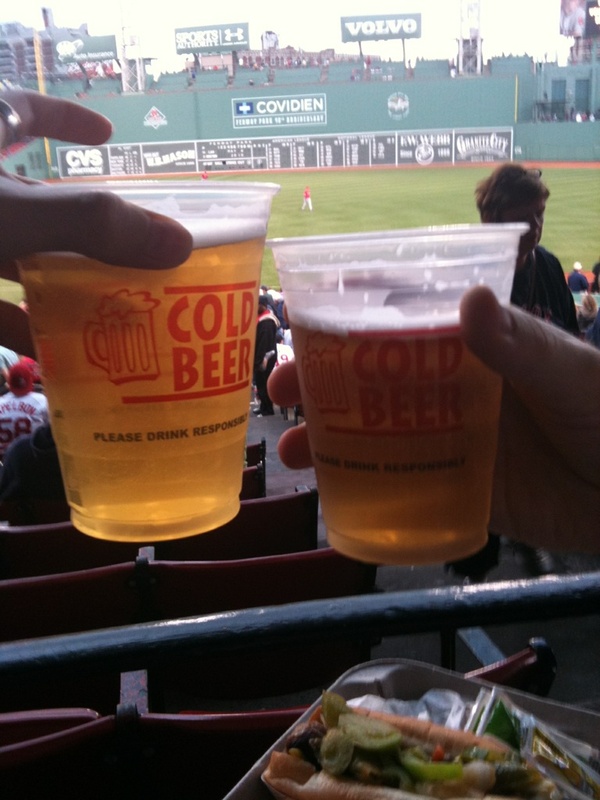 It wouldn’t be a baseball game without beer! Miller Lite to be exact…classy. 0 Responses to Beautiful Day Equals Colorful Lunch…and a Red Sox Game! 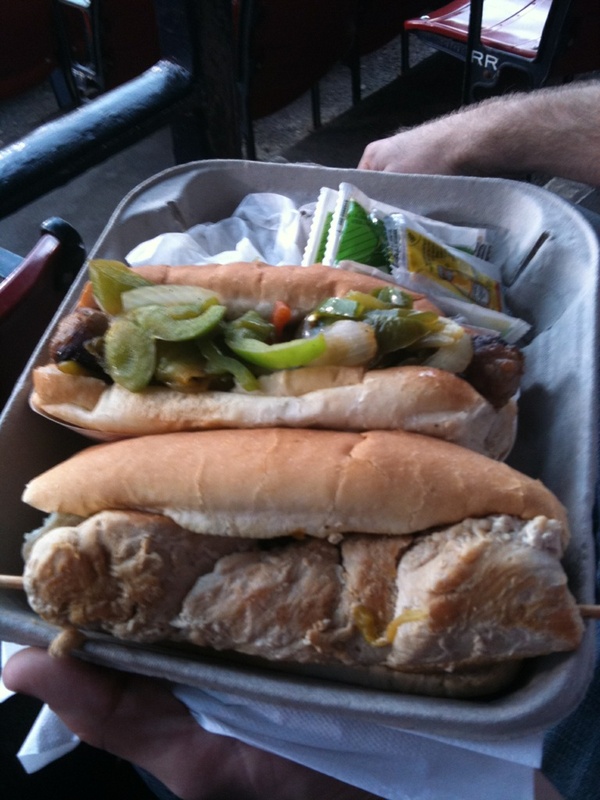 But what did you eat from the ball park food? Looks…very meaty.